The new Fujifilm X30 revealed today extends the company’s premium compact with new features that include a brand new electronic viewfinder that can provide real-time feeds of what you’ll capture when you hit the shutter, including exposure previews. There’s also a new tilting 3.0 LCD display on the back, and a longer lasting battery that’s good for 470 shots per charge, and which powers up via micro USB like Sony’s RX-100 series. The X30 also gets a new control ring that sits on the lens just behind the existing manual zoom control, giving you a way to quickly adjust aperture and shutter speed, as well as ISO sensitivity, film simulation, white balance and continuous shooting modes via the customization menu depending on what you’d prefer. This adds even more manual control to the camera, which already boasts two dials on the top of the camera, and six function buttons around back. The X30 also packs a 12 megapixel, 2/3″ X-Trans CMOS II sensor, EXR Processor II and an F2.0 – 2.8 4x zoom 28 to 112mm equivalent lens. It should have snappy autofocus, since it packs similar tech to the X100s, and it also gains Wi-Fi over its predecessor. All of this comes at the expense of larger dimensions, however, as the X30 weighs 2.2 ounces more than the X20 and also adds 2 to 3 mm to each of its physical measurements. 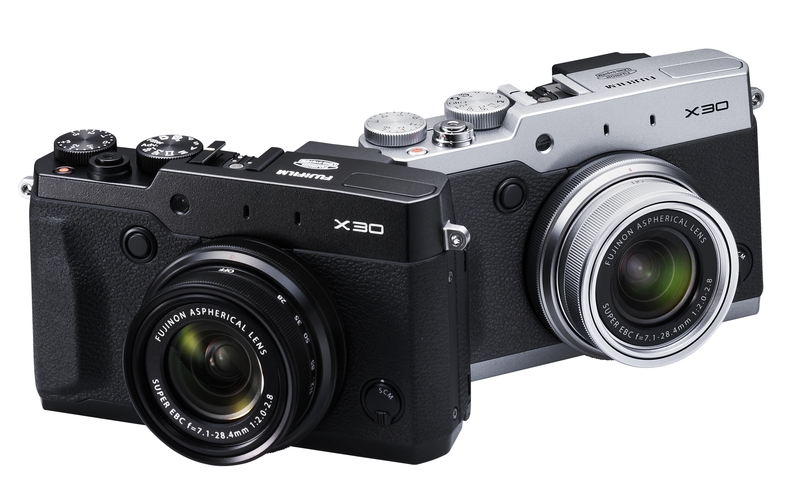 Fujifilm is making great cameras these days, and the X30 looks like a solid evolution of the line, with a host of improvements that could help it move from an enthusiast’s pocket camera to a more general audience device, including new film simulation filters that can be applied in-camera. It retails for $599, and will be on sale starting in late September.